I absolutely love AJ’s face when he sees a good antler. His eyes widen and his ears perk up even more. That's why I had to get my hands on a Health Extension Whole Elk Antler. Elk antlers provide not only great taste but also countless health benefits for dogs. These USA antlers are naturally shed as well as Grade A. These antlers are said not to chip, splinter or peel as a cooked bone can, nor should they get lodged in your pet's throat, stomach or intestinal track. 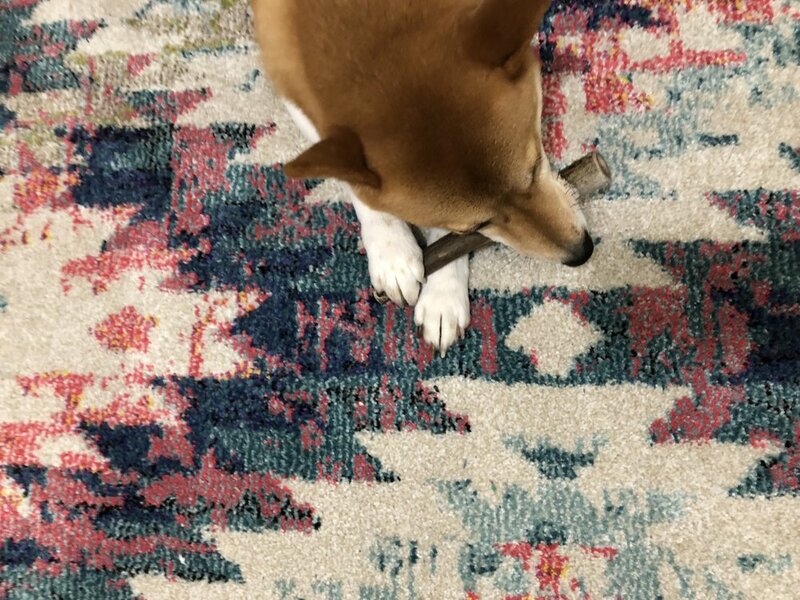 Of course, I still recommend watching your dog as they chew on the antler!